Take a trip to Wonderland with this stunning petunia. Dark rose colored hearts stand out on a backdrop of golden yellow. 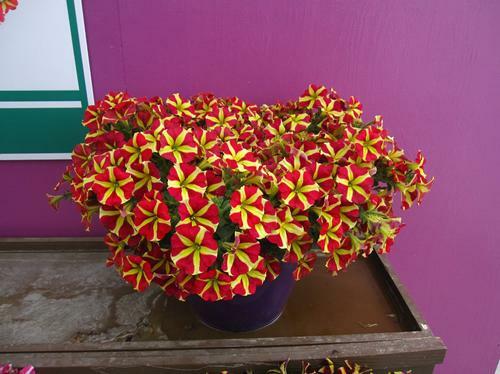 No need to play your cards right because they are already stacked in your favor, with easy to grow genetics and floriferous, semi-trailing habit.